Your investors invest and manage their real estate portfolio seamlessly and with confidence. We Share Property delivers technology solutions to the real estate industry, enabling its investors to seamlessly invest and manage their property portfolios. Our application is branded under our customers’ branding, enabling them to market their digital differentiation compared to the competition. Lean design and automation of the application also increases productivity of the industry and helps it better understand its investors through centralized data insights. We are active in the UK and the UAE delivering solutions to property investment companies, developers and brokers. 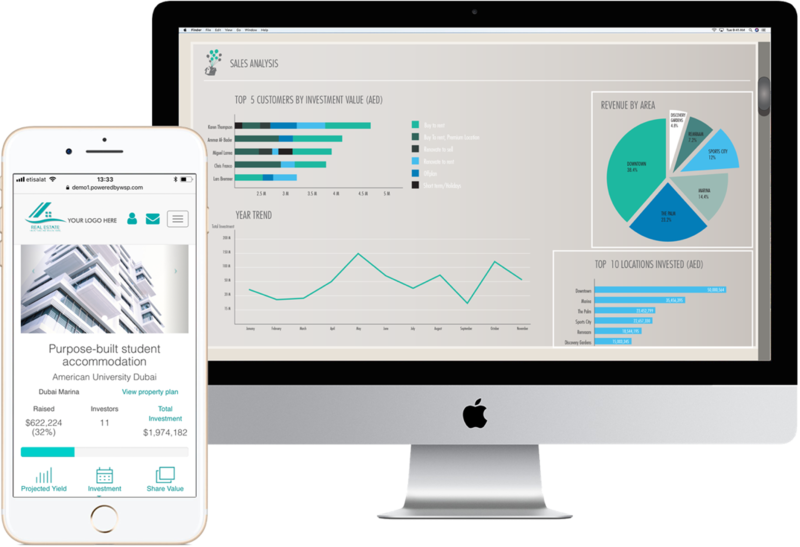 We Share Property create a faster, simpler and more transparent way for investors to manage their portfolios through a simple, digital application.